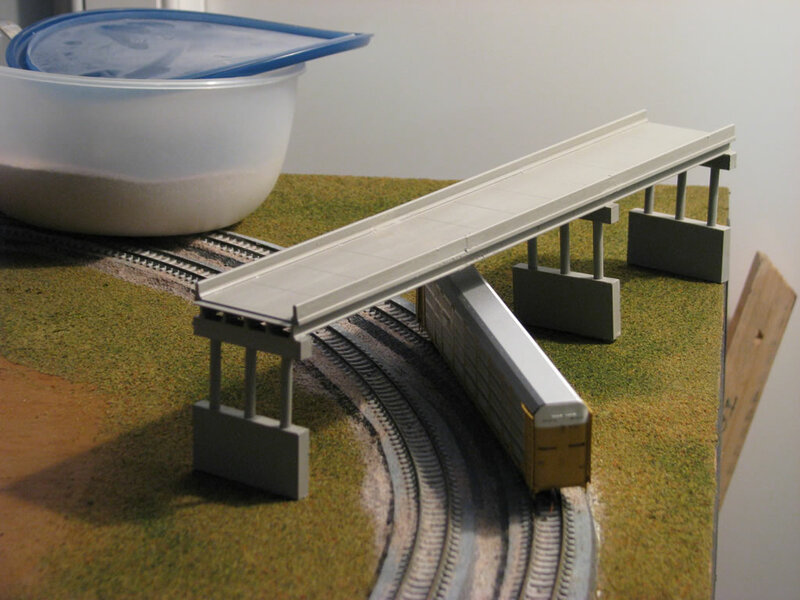 Rochelle Intermodal | N Scale layout » Blog Archive » Progress update…finally!! Well, it is about time I added a progress update! !Â I haven’t been able to work on the layout for a while, but finally have had time to get cracking on finishing it off in time for the Benson show on the 10th January. 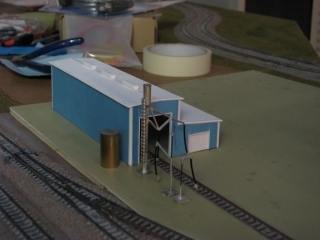 The ballasting is 90% done, the intermodal yard is finished and waiting for weathering and installation of the yard lights, fencing and buildings. 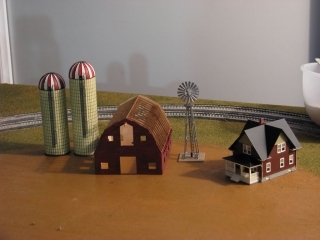 I have decided to put a farm scene on one of my end boards, and spent tonight starting construction on a laser-cut kit of a wooden barn, my first attempt at a wooden kit!Â So far, so good…although I have learnt that I should try to dry-brush the paint on, rather than just brush it on normally…warped wood does not look good on a barn!Â :-)Â I managed to get it mostly straight again thanks to a hot halogen lamp – I’m not used to working with wood kits, so am learning as I go! I also built two Walthers windmills, with one the full height (this will go on the other end board), and the other one down to the lowest level to go next to the farmhouse. 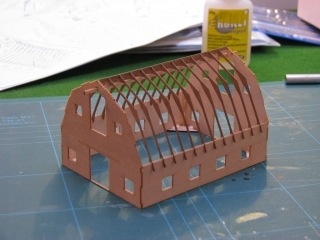 Right, time for bed, but will do another update this weekend.